Kashan rugs are admired all over the world for their rich colors, intricately woven designs, high quality of wool and expert craftsmanship. 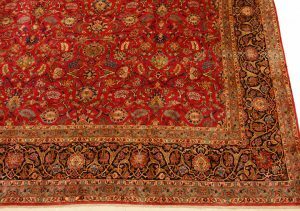 This magnificent fully hand-knotted rug is a classic representation of the city rugs manufactured in Kashan, a northern region of Iran. 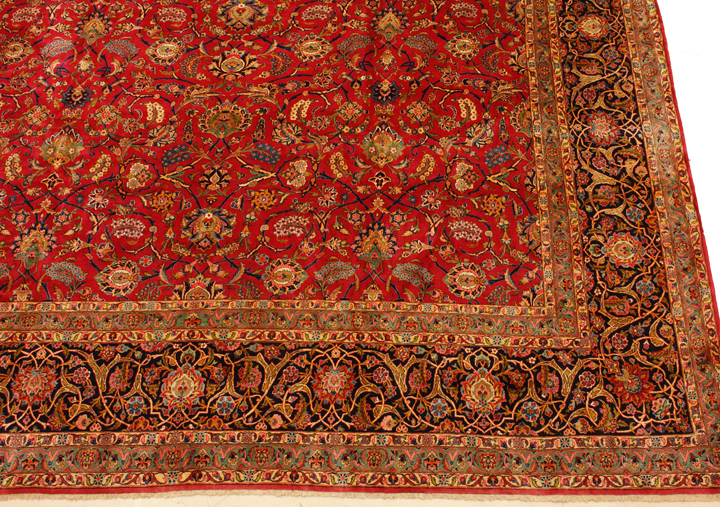 This particular rug is estimated to be about 80 to 100 years old and was procured from the chief of police in age of Raza Shah. 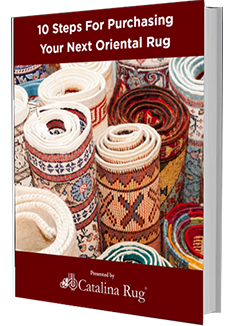 If rugs could talk, this piece would have a lot of stories to tell! 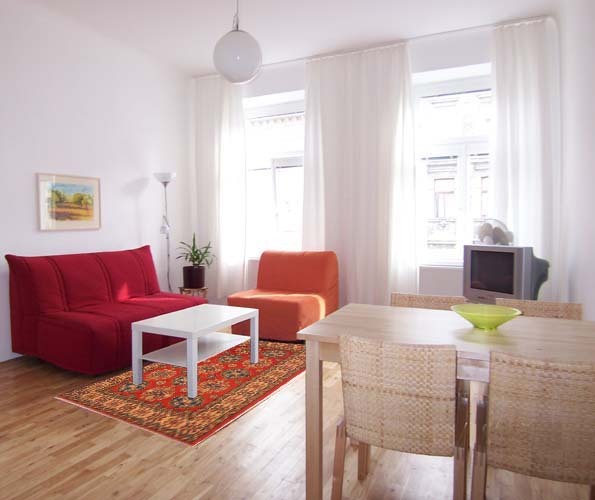 The rugs measures 14’3″ x 22′. It has a cotton base and a 100% wool pile. 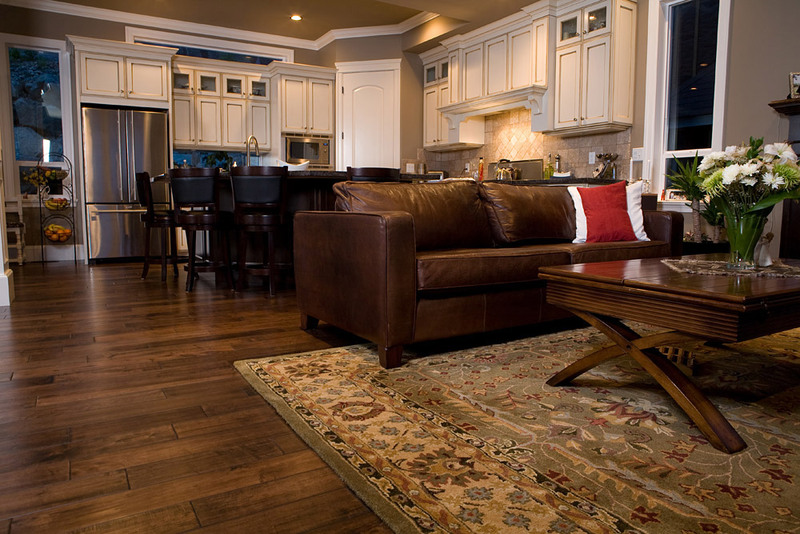 The pile is intentionally cut short so the intricate patterns are highlighted, giving the rug a classy, elegant look with every pattern line clearly visible. 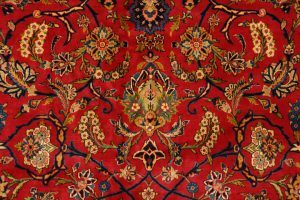 All of the features of the rug, from its striking bold colors to its elaborate Shah Abbas field and its equally ornate border are traditional characteristics of Kashan rugs. 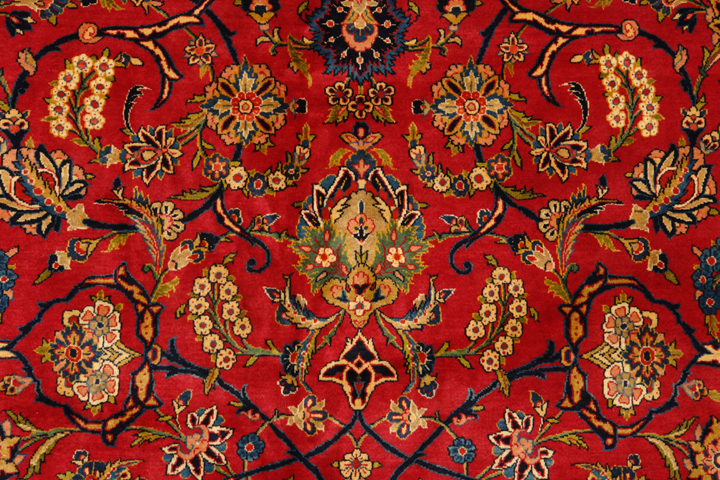 The continuous curvilinear flower forms woven in deep rich reds and dark browns, burn oranges on the deeply colored Shah Abbas field give the rug a rich, luxurious look that will instantly add a touch of royalty to any setting. All of the dyes are completely natural, which is indicated by the striated shade variations that you can see running through the rug. 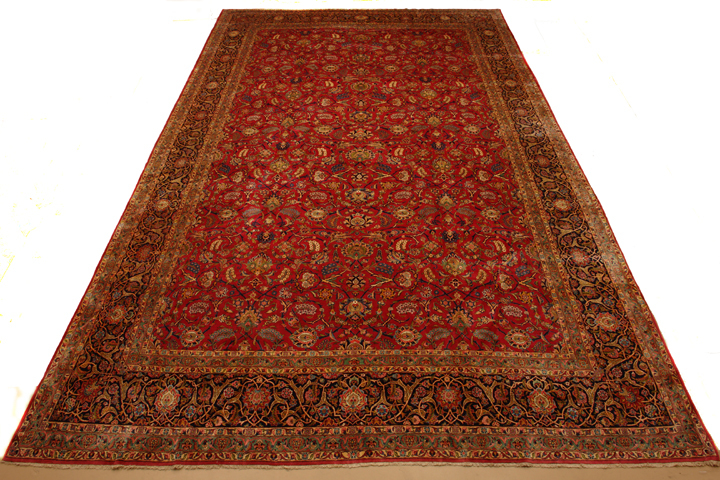 Kashan rugs are much sought after by collectors and home owners alike. 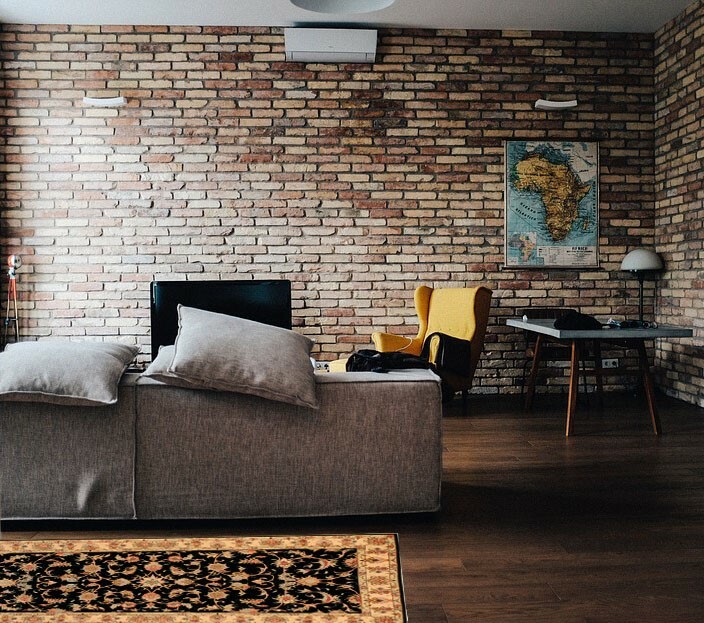 Collectors buy them for their excellent resale value as they get older and homeowners buy them for their fantastic décor options.